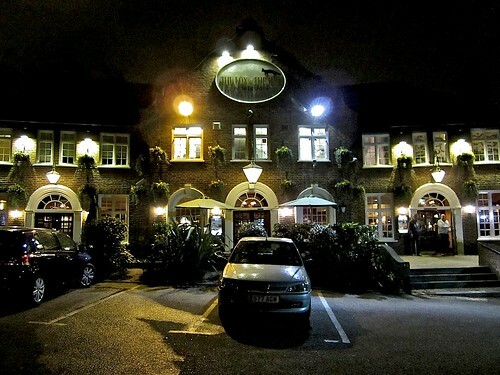 On Thursday 16th October 2014 the Friends of Dog Kennel Hill Wood held their annual general meeting in the conservatory of the Fox on the Hill pub, followed by a general meeting. Fourteen people attended. The Chair began by giving a summary of the activities of the Group during the year. She reported that there were now 34 members, an increase of 12 members over the year. Seven new orchard trees (medlar, quince, damson, Howgate Wonder, Cherry Plum, pear, and serviceberry) had been planted. The hedge had been mown by Quadrant and replanted. New bins had also been provided. Three trees had been felled due to storms or rot. Thirty trees had been planted from the Woodland Trust. Meadow seed had also been sown. A second willow dome had been erected. And a meeting had been held with Southwark’s tree officer, Ian Williams. Two work days had been held, one of which attracted 17 people. A CD sale had raised some money. The Group had held a bird count during a very rainy January. A successful spring walk was also undertaken. A Forest School event involving a number of primary schools in the area had proved a huge success. Members of the Group also took part in the consultations on the future of Greendale. A meeting was held with Paul Highman concerning the management of the meadow and the Group had now taken over responsibility for it. The Gaumont film night had proved a huge success with more than 400 people attending. The final event of the year was a Bat Walk held in both Dog Kennel Hill Wood and Green Dale. A number of bats were detected. The committee was re-elected as per the previous year, with a new addition: Stephen Govier is now the Meadow Manager. He gave a lovely introduction to the work he has been doing in the meadow this year, plus plans for the coming year. We then discussed the success of the Gaumont Comes Home event and suggestions were made as to how to spend the money this had raised e.g. a wheelbarrow, more meadow seed, insurance for the groups so we can safely carry out our work, a possible Christmas event and native bulbs. The possibility of a pond was discussed and the pros and cons of having one. The Chair suggested that the Group should not proceed with its plans for a pond as the area was well provided for in that respect. The site which had been identified for a pond was not an ideal spot due to the number of trees. Moreover, shrub land was becoming rarer and there were a number of rare birds frequenting the site. Amongst these were the song thrush (red listed), dunnock (amber listed), as well as the wren, black cap, and blackbird. The Chair had been advised that because of its importance for birds its nesting value made it important for Dog Kennel Hill Wood and the open space as part of a mosaic of habitats. The meeting agreed with this approach. Further items on the agenda included: the willow dome, the broken path, bug hotels, hedge mulching, holm oak removal, final draft of continuing management plan and bat surveys. “Any Other Business” included a discussion about the Green Dale plans and the building that the adventure playground are proposing to build. Many thanks to all of you who came along. Looks like we’ve got an exciting and busy year ahead of us!